"Do I really need a power meter?" – an often asked question, with a clear answer. No, you do not need a power meter. Norman Stadler became a two-time Kona champ pacing himself by just "going all out." Eddy Merckx managed to win approximately every bike race he ever entered without one, and set an hour record that stood for 28 years. However, when that hour record finally was broken by Chris Boardman, it was done with extensive use of a power meter to guide his training. A power meter is not absolutely necessary for success, but it can be a fun and useful tool. What is a power meter anyway? How do they work? A power meter is any device that can measure the power you are producing as you ride your bike. 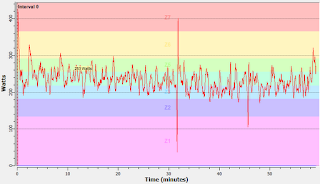 This data, recorded for later analysis and/or displayed on a bike computer in real time, can be used to pace your training or race efforts. 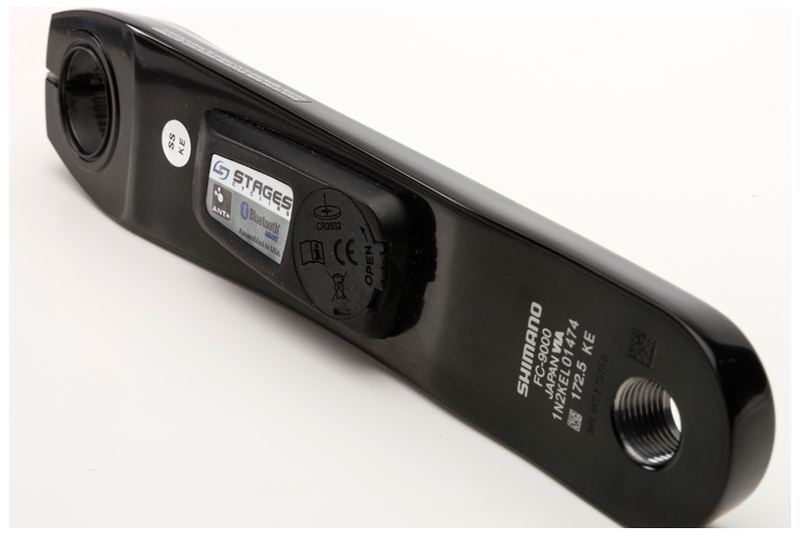 All power meters work by using strain gauges, placed somewhere in the crankset, rear wheel, or pedal spindles. 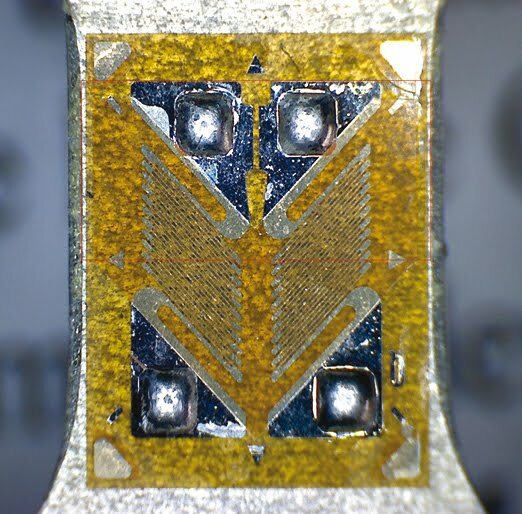 The harder you push on the pedals, the more deflection you cause in the strain gauges. As they bend, they send a signal to a computer, which tells the computer how much torque is being applied. Combine that torque with the speed that the crank, wheel, or pedal is rotating, and you can compute power. Fortunately, the bike industry has agreed on a standard method, called ANT+, of transmitting power, speed, and heart rate data to bike computers. You can usually use any "head unit" you want with any power meter you want. If you already have a Garmin 500 computer, for instance, you don't have to purchase a new computer if you get a power meter. What are power meters good for? Bike workouts are often prescribed in terms of zones or power targets. While heart rate can be used to pace longer intervals, short intervals are problematic since heart rate does not change instantaneously. With a power meter, if a coach or training program prescribes "4x5 minutes @ zone 5 or 300 watts" you will know exactly what to do. You will also know whether you hit your training plan goals and can analyze the power file later or send it to your coach. By doing practice runs, you can figure out exactly how hard you can ride to finish a triathlon bike leg and still have enough gas to run, or how hard to push during a time trial so that you have nothing left at the line. Using a power meter to pace a race can be especially helpful when the route has climbs or a lot of wind. A cyclist's natural reaction to a hill or headwind is to push much, much harder. While you should push a little harder on uphills, using a power meter to pace allows you to make sure you don't burn too many matches. Late in any race with significant hills or headwinds, you'll find yourself passing people who blew themselves up early on. Compared to time trial efforts, for mass start bike racing a power meter is not as useful for pacing, but you may find it beneficial to gauge your effort in breakaway attempts. However, after the race you can often review your data and identify places where you wasted energy, or didn't attack hard enough, etc. Once you hit a decent level of fitness, gains start to come rather slowly. 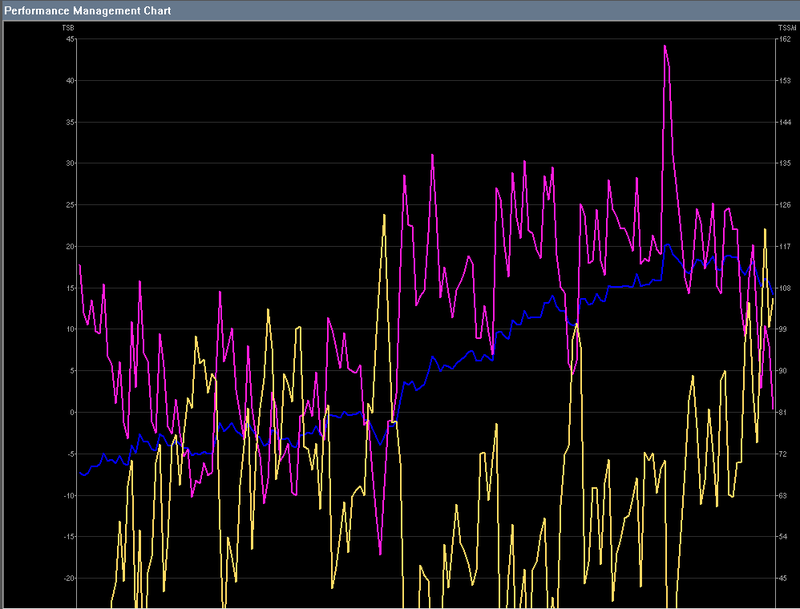 Over the course of a year you might expect to only gain 10 or 20 watts of power on the bike. Without a power meter it can be hard to tell if you're making progress. For example, you may do a monthly time trial event and think you're getting slower only because each month it gets a little windier. 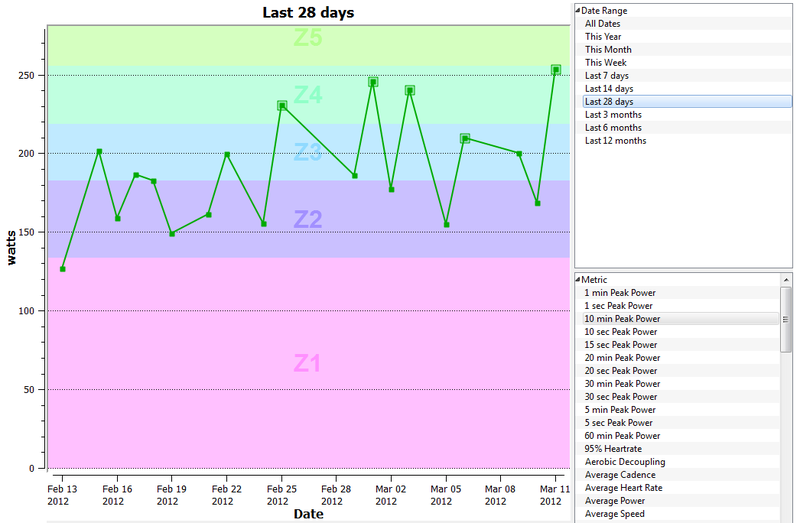 With a power meter, you can accurately chart your progress over time. You'll also be able to see your best power efforts over various durations, which can guide your training. For example, you may find that your 30-minute power has been improving, but your 15-second sprints are declining. By testing your best power at short, medium, and long durations, you can put together a profile of your strengths and weaknesses on the bike. This is mostly relevant in bike racing, a sport in which both aerobic talent and sprinting talent play a role. Using a chart developed by Andrew Coggan, you can get an idea of whether you are currently more suited to sprinting or breakaways or are more of an all-rounder. You can also identify weaknesses and address them. See Andy's article on power profiling for more details. Triathletes who plan to experiment with or transition to bike racing can also get an idea of how they may stack up by referring to the chart. One of the most fascinating applications of a power meter is to use it as a poor man's wind tunnel. This isn't easy to do, as finding the proper location can be difficult and the procedure requires patience and care. For those willing to put in the time, however, a power meter can be used to test equipment and position choices out on the road. With a good location and methodology, you can detect small changes in aerodynamic drag, as was demonstrated by Andrew Coggan in his Aerodynamicists Challenge. In short, you need to find a stretch of road where you can do multiple loops without using your brakes and that is relatively low on wind. Velodromes or out-and-back routes with little traffic are good choices. You also need to know the elevation profile of your route. You can then use the Chung method to estimate your coefficient of drag. The aerolab tool in the free power meter software Golden Cheetah lets you do this without a degree in math. Zeroing a power meter is a process where you reset the strain gauge reading that counts as zero torque. Almost all power meters allow you to do this manually via the head unit. Since temperature changes can cause the strain gauge data to 'drift', it is a good idea to zero your meter at the start of a ride, and perhaps once or twice during the ride when you come to a stop if temperatures are changing. Some meters also offer automatic zero features, which will attempt to re-zero when you coast. The Powertap autozero seems to work fairly well in my experience. Others have found the autozero on the crank based meters to be less reliable. The Power2Max and Stages meters now deal with temperature drift by having a temperature sensor on board, and adjusting automatically. Because they like to make life difficult, many head unit companies call the zeroing process 'calibration' in their menus and documentation. Do not be fooled, you are not really calibrating! Calibrating a power meter means checking that the torque values are accurate across a wide range of values, not just zero. Most power meters can be checked by hanging a known mass off of a crank arm. Some power meters also allow you to adjust the calibration. This is usually a complex process, that some would leave to the manufacturer. But the brave and careful can do it themselves on certain models, such as Quarq and SRM. Quarq is currently ATC's best-selling power meter. It is built into the crank, which means you are free to use any wheels you want and still record your power. 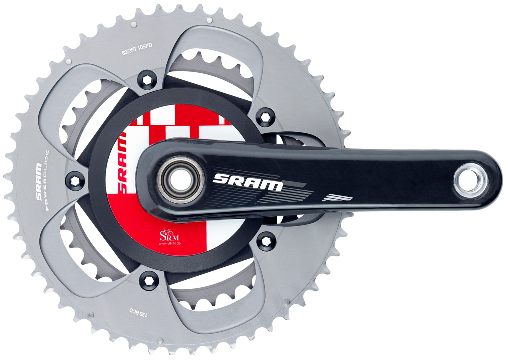 It is available with many models and sizes of crank, including Shimano, SRAM, and FSA. Quarq has been around a long time, and they have a reputation for good customer service and reliable operation. The downside with the crank-based system is that it is sometimes harder to swap the crank from one bike to another. However, if your bikes share the same bottom bracket type, this can be a fairly quick change. Quarq setups require that you glue a magnet to your bike near the crank. The latest Quarq models feature less sensitivity to chain ring changes, and some models offer a left/right power balance output. While left/right power is not measured directly, it is believe to be fairly accurate. 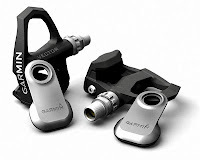 With some additional tools users can check and adjust the calibration of Quarq's themselves. This power meter is built into the hub of your rear wheel.. The Powertap is available on many models of wheel, from the basic Mavic Open Pro training wheel to a HED or Zipp race wheel. You can also purchase the hub alone and build it into the wheel of your choice. 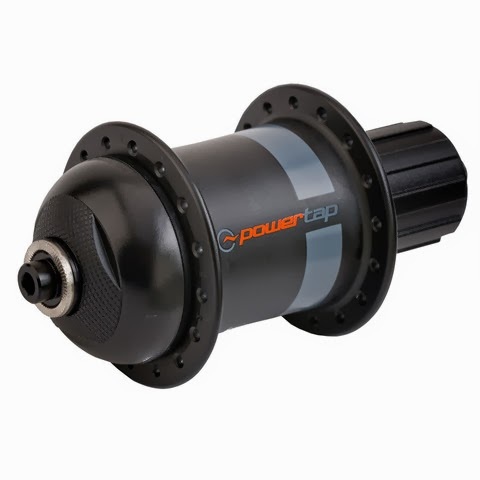 Now on their third generation of hubs, Powertap also has a reputation for painless, reliable operation and good customer service. Swapping your power meter between bikes is as simple as a wheel change. The downside of a Powertap is that if you want to train and race with power, you either have to train and race on the same rear wheel or get two of them. One solution to this problem is to get a Powertap with a basic training wheel and put a disc cover on it for races. The latest Gen3 Powertaps feature greatly reduced weight, coming in lighter than many regular hubs. They also feature removable electronics, so you don't have to ship the whole wheel back for service. Powertaps also are able to provide accurate speed data, and semi-accurate cadence data all in one package, which keeps your bike free of wires and sensors. Thanks to a recent price drop, Powertaps are also one of the least expensive options now with hubs starting at $789 and complete wheels for under $900. While users can check the calibration of their Powertaps themselves, if it needs to be adjusted the electronics must be sent back to the company. SRM is considered by many to be the best of the best, but you pay for it. 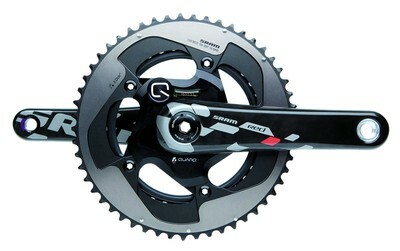 Like the Quarq, these power meters are built into the crankset and are available with many models and sizes of crank. SRM has a reputation for being the most reliable and accurate, with examples in the field that continue to operate after many years of service. Installation requires a magnet be attached to your bike, as with the Quarq. SRM's offers their own Powercontrol head units, which are very expensive but allow for fancy features like real calibration. Garmin 500 head units are not able to disable the SRM autozero function, and this can introduce errors in power data, so be sure to pair it with a Garmin 510 or higher. Special track versions are available which use multiple magnets for better resolution to get accurate sub-5 second peak power values. Another quirk of the SRM is that while battery life is very long, once it dies you have to send the unit back to SRM for a replacement. A big plus in the SRM's favor is that users can re-calibrate the meters themselves if they wish. The Garmin Vector is now available, and offers direct measurement of left/right power balance. 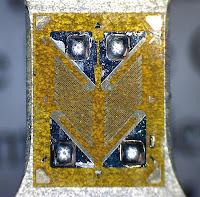 The strain gauges in the Vector are located in the pedal spindle, and electronic pods communicate to each other, and then broadcast combined signal to your head unit. Installation is not quite as simple as swapping pedals, as accuracy depends on precise torque, and a 'break in' procedure where you do some hard efforts to 'set' the pedals. Still, for people with multiple bikes with varying bottom bracket standards, the Vector may be the only viable option. These have not been around long enough to say how their durability and accuracy compares with the other power meters here. They are currently only available with Look style pedals. The first generation of P2M meters were found to be a little lacking in stability under varying weather conditions. P2M has since added temperature compensation to their power meters, and since then the reviews have been excellent. All power meters suffer from potential error due to changes in temperature. Most combat this by clever arrangement of strain gauges, and manual and automatic zeroing features. P2M adds active temperature compensation, which could be very useful in certain situations like long uphill segments where you will not get a chance to auto-zero (which requires coasting) for 30+ minutes. 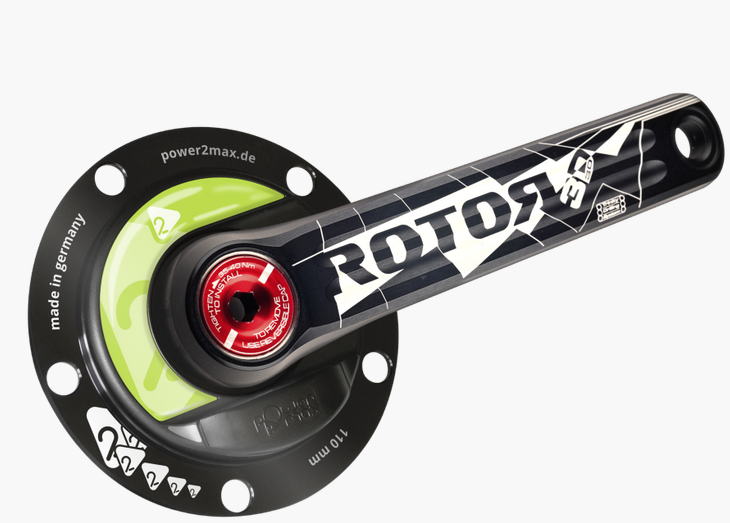 P2M also has the most affordable option of all of the crank based power meters with the FSA crankset coming in at $899. P2M so far has had great support as well, even showing up at Kona to offer free battery replacement and service for anyone worried about the big day. Stages offers the most affordable option of all, with a crank-arm+power meter starting at $699. Like the Power2Max, stages uses active temperature compensation. It may also be the lightest option available, adding only a few grams to your crank arm (though you have to use a metal crank arm). The downside is stages only measures one leg. Since human left/right power balance is inherently variable, this will lead to error that will be difficult to account for. Was your latest power record of 5 watts real, or just a day when you went a little harder with your left leg? 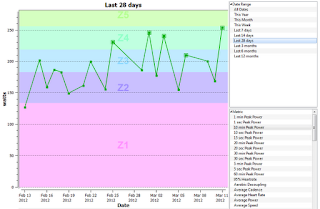 Was a recent failed interval set really a failure, or was your balance that day a little more to the right? Early models have had some growing pains but Stages has been quickly addressing them, such as an improved seal on the battery cover. Reports so far are that the company support has been very good. Power meters are not generally kept in stock at your local bike shop, as wheel and crank preferences are so personal and varied. However Austin Tri-Cyclist is offering 10% off and free installation on all power meters for the next month. Stop by the shop and ask for Adam Stroobandt, and he'll help you select and order your power meter. A good place to start is the book Training and Racing with a Power Meter. This book is full of useful information about training and racing for both triathletes and cyclists.